Are workplace recovery programs successful in helping people to quit abusing drugs and avoid relapsing? A growing field of research suggests the answer is yes, though their success may have more to do with incentives than the nature of work itself. There are a few ways that scholars have studied the relationship between employment and recovery, according to Matthew Walton, an instructor at the University of Louisville’s Kent School of Social Work. He is also the author of “The Effects of Employment Interventions on Addiction Treatment Outcomes: A Review of the Literature,” which looks at 12 studies on workplace recovery programs and concludes that they tend to be effective. Walton described the two dominant approaches: one views employment as benchmark of successful recovery. The other area of research focuses on whether being employed is a therapeutic intervention in and of itself. Kenneth Silverman, professor of psychiatry at Johns Hopkins Medicine in Baltimore, is a leading researcher in this latter field. Silverman has developed an experimental therapeutic workplace that offers paid employment to poor, unemployed people with opioid dependencies and other substance use disorders — with the understanding that the researchers will be studying them. “We’re studying access to paid work as reinforcer or incentive to abstinence,” Silverman explained. In this model, which has been the subject of study since 1996, participants have to provide drug-free urine samples to keep their jobs and/or avoid a dock in pay. The model has proven effective in promoting and maintaining abstinence from heroin and cocaine among people who have been unable to stop on their own, he said. Silverman was careful to say that his research shows that work alone does not keep employees from using drugs. Money and accountability matter, too. “When we randomly assign people to just work and get paid, but they don’t have to provide drug-free samples to obtain maximum pay, they work a lot, but they continue to use heroin or cocaine,” he said. Only when paid work is contingent on abstaining does it serve as powerful incentive to maintain sobriety. 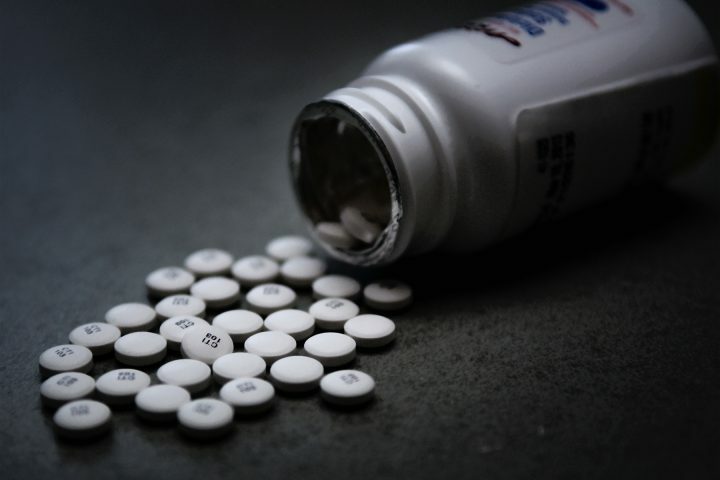 Anthony DeFulio, an assistant professor of psychology at Western Michigan University who studies workplace recovery programs, offered a similar perspective regarding treatment for physicians with opioid addictions. DeFulio cited research on the national system of Physician Health Programs, which involves outpatient treatment and random drug testing over a period of five years. The results of these tests are reported to employers, insurers and state licensing boards, and if participants test positive, they can lose their license to practice medicine. These programs are quite successful, with only 22 percent of physicians testing positive at any point in the five-year follow-up screening period, according to a 2009 study involving 49 medical directors in charge of their state-run programs. “When someone has a lot to lose, then that alone seems to be sufficient,” DeFulio said in a recent phone call. According to DeFulio, research has shown that successful substance abuse treatment requires ample contact with patients on an ongoing basis, which are conditions the workplace offers. A 2009 study, which focused on employment and recovery outcomes among 500 drug court clients – people participating in a specialized court docket program targeted toward individuals with substance use disorder — found that participants who were assigned to and remained active in an intervention that helped them find a job, keep it, and then find a better job, showed better outcomes in recovery — less substance use and less criminal activity — than those who received less or no career assistance. Nevertheless, some researchers are interested in the idea of employment as a benchmark — in other words, a measure of recovery. “It doesn’t really address what we know and have known for more than half a century about recovery,” Drake said. “When people get abstinent, they have a high rate of relapsing.” To promote long-term recovery, Drake suggested that involvement in meaningful activities is essential. Those meaningful activities include work, per findings from a survey of 356 individuals at various points in their recovery. In the 2010 study “What Are Your Priorities Right Now? Identifying Service Needs Across Recovery Stages to Inform Service Development,” researchers Alexandre Laudet and William White asked participants, “What are the priorities in your recovery and in your life right now?” About one-third of respondents in each stage of recovery cited employment as a priority. The only priority that was more popular than employment was recovery from substance use. “‘Recovery,’ the ultimate goal of services, requires more than abstinence,” Laudet and White write. “Therefore substance use disorder services must give clients the tools to improve their life in all areas, not only to help them achieve abstinence.” But in another study conducted by Laudet in 2012 involving 311 people at various points in recovery, less than half were employed. Researchers suggest programs that help people find and keep jobs might help boost employment among people with substance use disorder. One such model is Individual Placement and Support (IPS), which was designed for people with serious mental illnesses. IPS offers job training and counseling, among other services. In the interest of examining this important news topic through a research lens, Journalist’s Resource produced this research roundup in collaboration with The Burlington Free Press, where this piece first appeared. This piece is part of the newspaper’s series of stories about opioid recovery.